Annual General Meeting (with snacks) March 27 after curling. 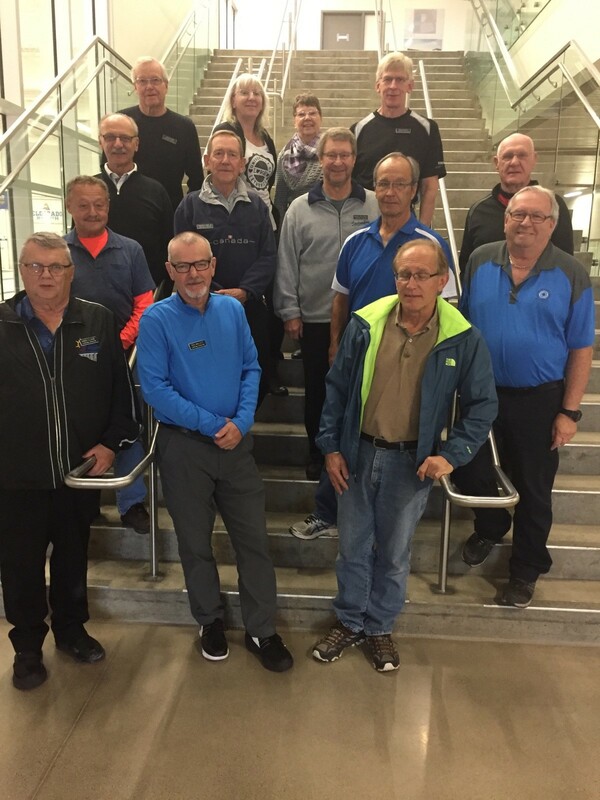 The 50+ League is open to anyone over the age of 50 to curl for fun, socializing and friendly competition. Instruction or refresher clinics maybe arranged for new or returninig curlers. Games take place Tuesday and Thursday or Wednesday and Friday afternoons 1 - 3pm. Players will be assigned a team. Play is organized into 4 sessions (squares) 4 - 5 weeks in length. Players may register for any or all of the 4 sessions (squares). 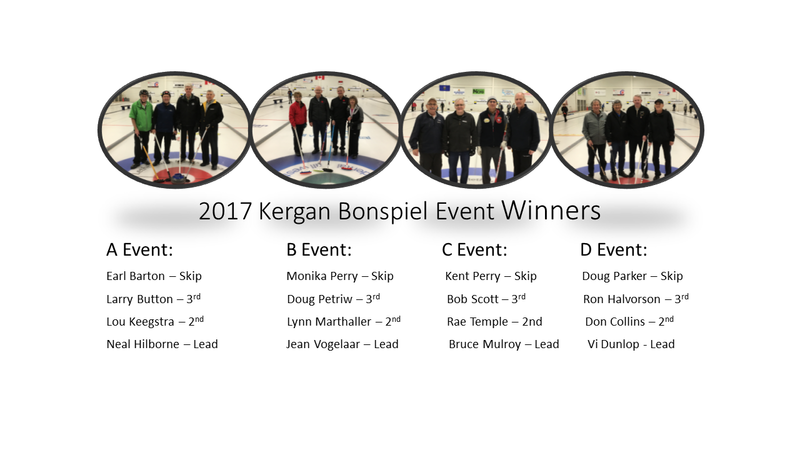 Congratulations to the Garth Nilsson rink for winning the 63rd Annual Wrentham Bonspiel in January, 2019. 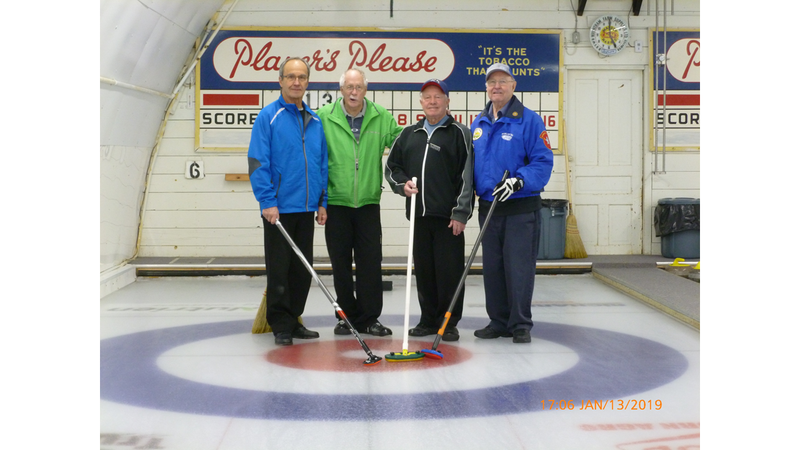 Pictured below: Ken Bruno, Earl Barton, Bill Robertson and Garth Nilsson.